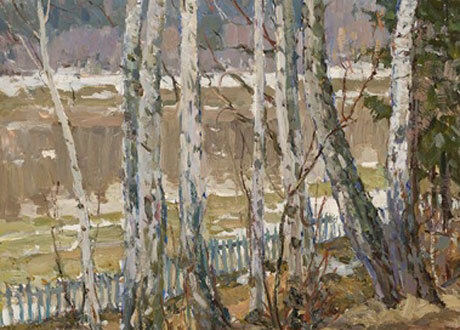 The Thomas Kearns McCarthey Gallery is one of the foremost dealers in the United States dealing with Russian Impressionistic art. 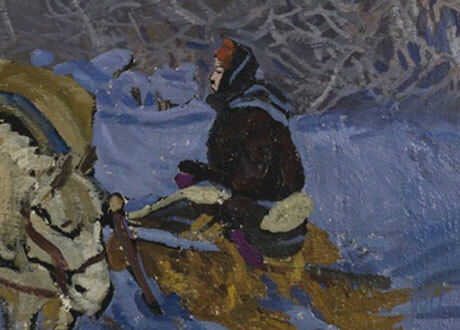 The Gallery maintains an extensive inventory of collectible works by Russia's most respected artists during the period of 1930 to 1980. The Gallery carefully selects paintings that are historically significant, original in composition, interesting in form and beautiful in their depiction of the human spirit. We have been working in Russia for many years and have developed close personal relationships with many of the artists and their families. 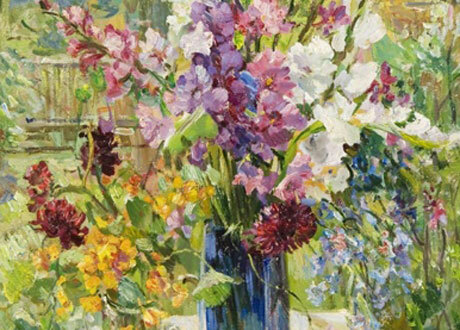 Together with our associated gallery in Russia, Dacha Art, and our Russian partners, we maintain extremely close ties with the arts community in Russia and the former Soviet republics. 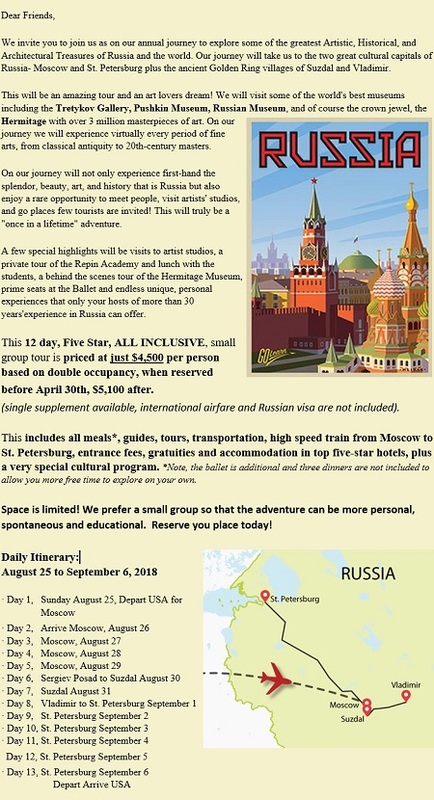 In addition to our Russian specialization, the TKM Gallery is proud to work with talented artists from other countries who have the spirit of the Russian art. 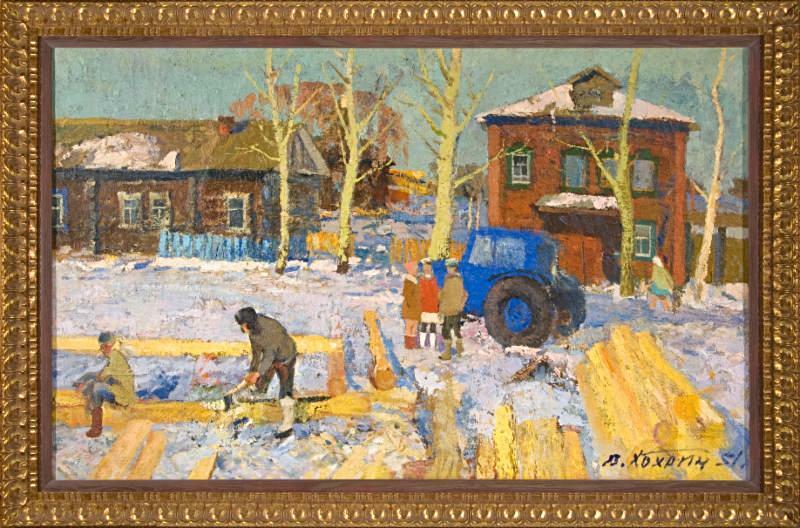 Sergei N. Vedeneyev, "Port of Klaipeda"
Congratulations to A. Grodin who placed the winning bid of $3,500 for February's silent auction painting "The Frosty Day", by Vladimir P. Krantz, estimated at $6,000- $7,000. As our March silent auction, we are pleased to present a beautiful impressionistic seascape, "Port of Klaipeda", by Sergei Nikolaevich Vedeneyev, estimated at $3,500- $4,500. 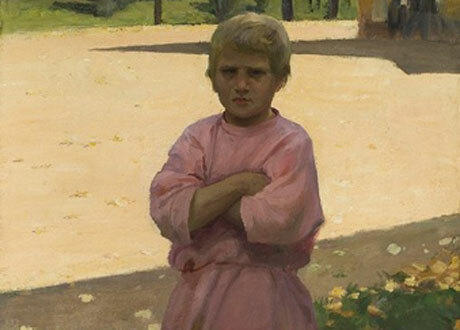 Sergei Nikolaevich Vedeneyev, was an honored artist of the Russian Republic. 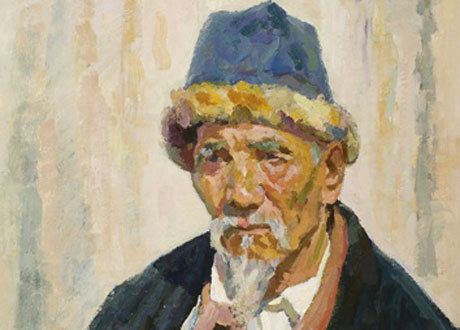 He would often lead groups of artists to distant places around the Soviet Union to paint. 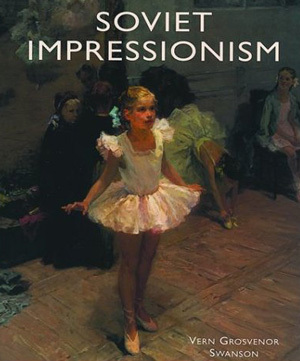 Sergei Nikolaevich was always fascinated by what he called 'the dance of light.' and he often compared the differences in light from the places he traveled. For him the most striking was the difference between the crisp cold blue of the northern Murmansk sky to that of the deep, warm blue of a Tashkent morning sky in Central Asia. Klaipeda is located in Lithuania and is one of the few ice-free ports in northernmost Europe. 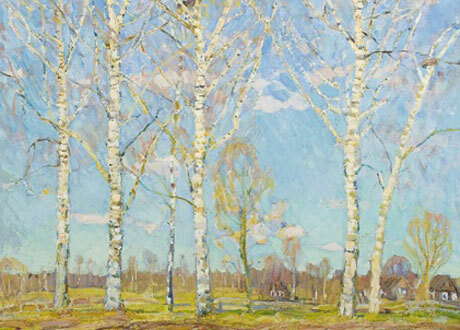 As was his custom, Sergei Nikolaevich woke before sunrise to paint plein air. Using vibrant, bold brush strokes and a rich color palette, Sergie Nikolaevich beautifully captures the the early morning light and serenity of the Northern Baltic seascape. We invite you to participate in this month's auction and thank everyone who placed bids in February's auction. 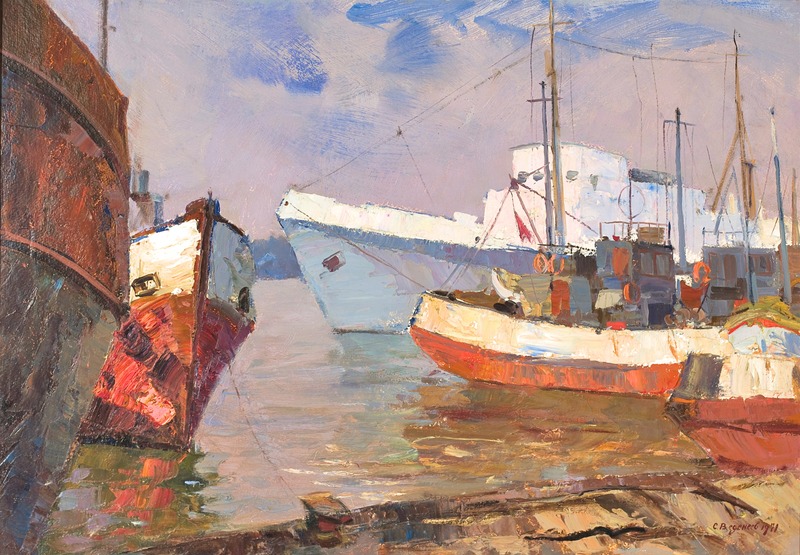 "Port of Klaipeda" is estimated at $3,500 to $4,500, the current high bid is just $1,000! The next bid is $1,250, followed by minimum bidding increments of $250. Bids will be taken via telephone, or e-mail until 7:00 pm MST, Monday, April 1st. 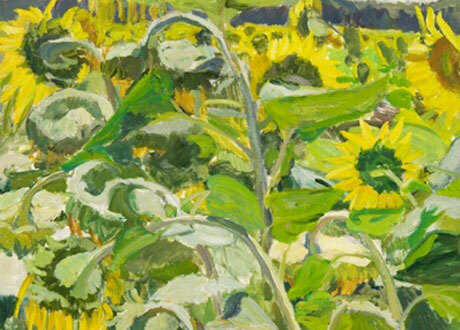 Follow all the bidding updates on the Gallery's website. 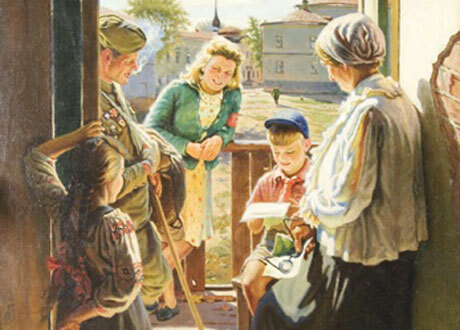 Sergey Nikolayevich Vedeneev was born in the Smolenskaya Village in the Yaroslav Region on August 11, 1908. 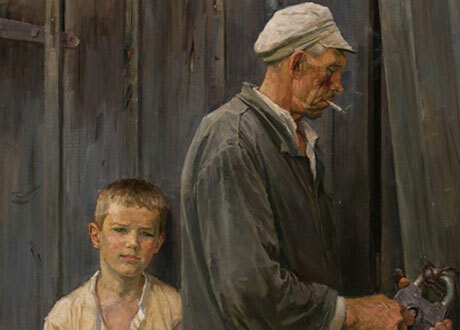 From 1935 to 1937 he studied at Art at the prestigious University of Yaroslavl under the guidance of professor S.F. Shitov. 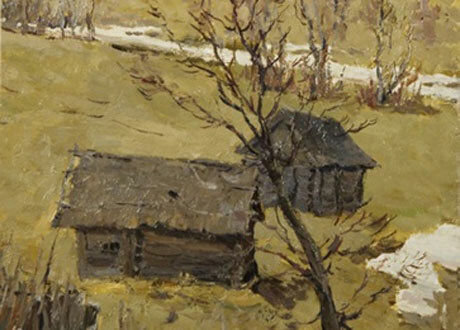 Later, from 1937 to 1940 he moved to Ivanovo where he worked and studied in the Studio of N.P. Serekin. Good News! 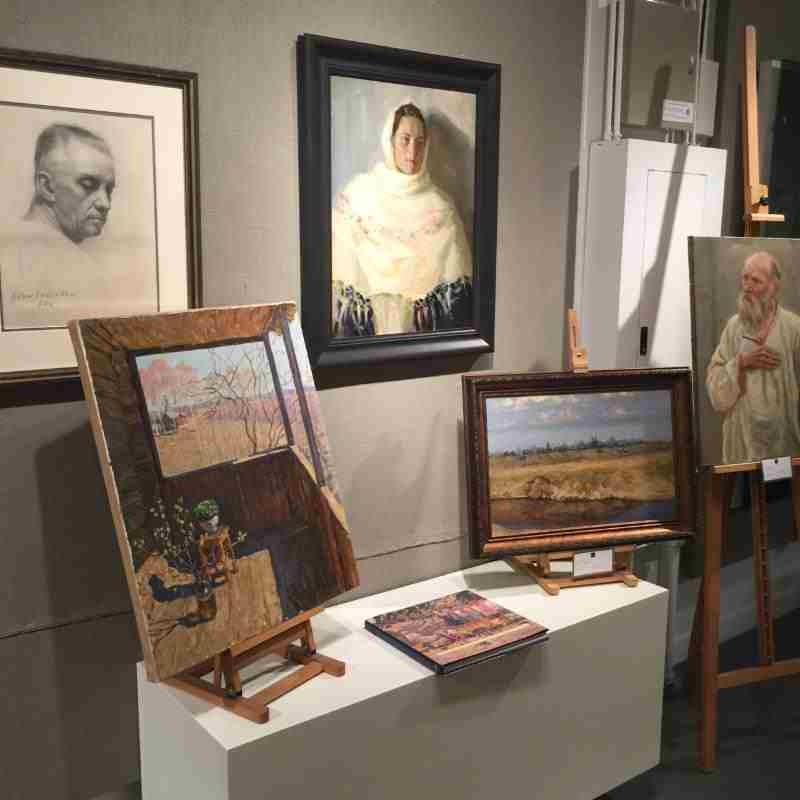 We are now fully settled into our new Gallery and Warehouse in downtown Salt Lake City and are ready to show you some great Russian Impressionist art. The majority of the works in the new Gallery have never been exhibited before!